After heeding a friends recommendation to watch the BBC “Sherlock” show (thanks Beca!) and discovering just how excellent it is, I also learned how big of a following the show really has. 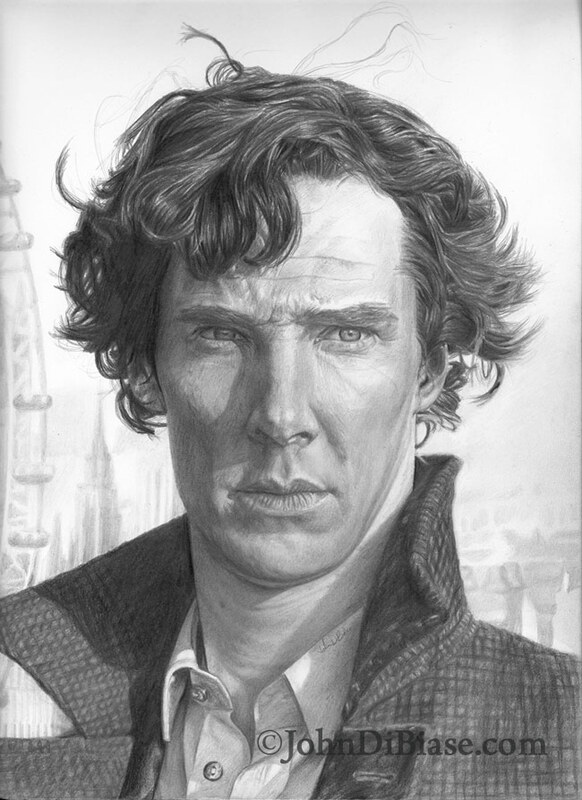 So after a few requests for a portrait drawing of Benedict, I decided to take the leap. I worked on this one every night (well… morning, really) from April 27th to May 6, 2013. It’s completely graphite pencil as well. I was kind of “finished” with it a night or two before actually finishing it, but decided to really push myself with detail. It’s not a comfortable thing and I know I “need” to. And I’m so glad I did! Still, I think it’s something where I could just keep working on it to death, but after laying in a light background, I was pretty satisfied with it.